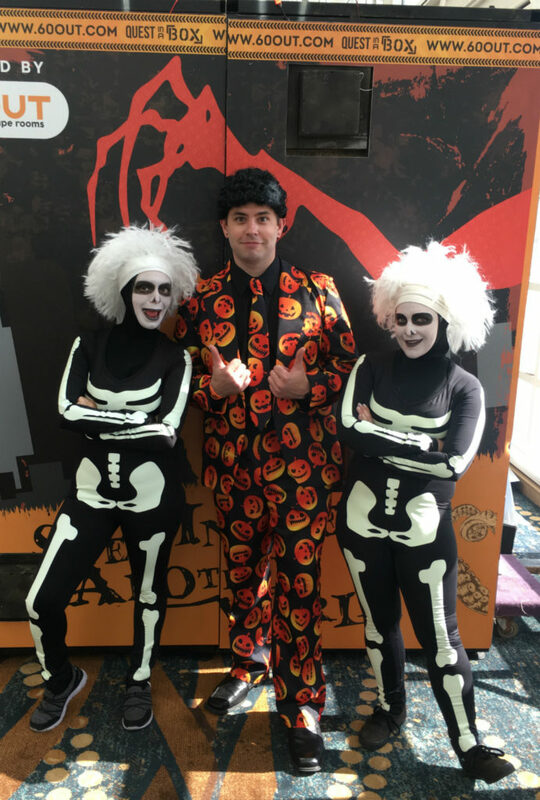 The Haunt List has been attending haunt conventions for the past few years, and can happily say we’ve been going to Midsummer Scream since year one. 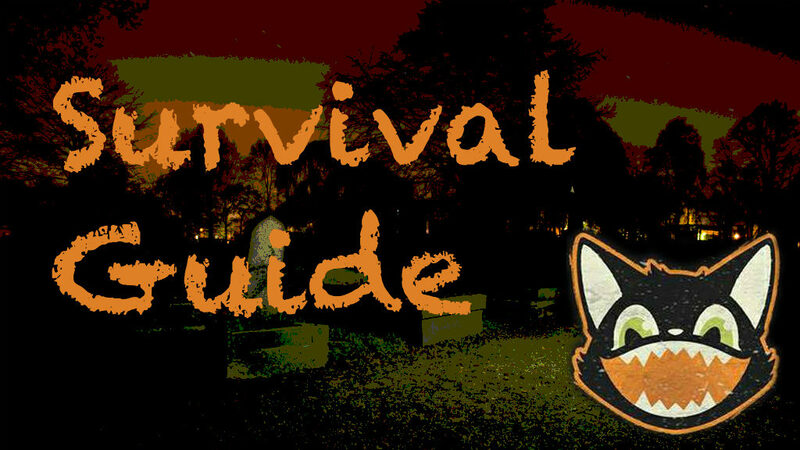 As pros at navigating through these types of events, we wanted to share some of our best tips and tricks in our Midsummer Scream Survival Guide! Midsummer Scream takes place on Saturday, July 28 & Sunday, July 29 at the Long Beach Convention Center in Long Beach, CA. We can’t wait to see all you spooks there! While the entrance line can get pretty long (especially on the first day while everyone is still getting set up), the line for the main parking structure can be even worse! It’s very easy to be lured in thinking that the line will move fast, only to realize an hour has gone by and you’re still sitting in the car. We suggest looking at lots a block or two away from the convention center, or parking a bit further and walking or ride-sharing to the event. It’s a bit more inconvenient, but if you’re looking to get the most out of your time, it’s well worth the extra effort! If you’ve never been to MSS before, just showing up and winging it can be a bit overwhelming. Every year, The Haunt List gets together and makes a plan to prioritize the things we NEED to do and see, and things we’d like to do and see if we have the time. Keep in mind, you’ll be splitting your time between the scheduled panels & presentations, the Hall of Shadows (mini-haunts), and the HUGE vendor area, plus all of the one-off entertainment including mini escape rooms and interactive theatre performances, seminars & workshops, arts and crafts, photo ops, and more. There is a LOT to see and it’s nearly impossible to see it all, so don’t miss anything that’s important to you! The Hall of Shadows is dark… and crowded! If one of your goals is to preview all the haunts, we suggest hitting this area first. It will only get more crowded with longer lines as the day goes on so get in, find the shortest lines, and check that haunt off your list! Alternately, you can purchase a Gold Bat Pass which includes front of the line access to select attractions here (plus other perks). Your feet WILL get tired and it WILL get hot. We suggest wearing comfortable shoes and making sure you dress accordingly. With the Summer weather and the number of people attending the event, it gets pretty steamy pretty fast! If you find that you just need to take a break, we suggest checking out Sinister Pointe’s Boogeyman Express Bar. Located in the Hall of Shadows, this area will have comfortable lounge seating, drinks, and more, plus details on their upcoming event, Scary Place. The Decayed Brigade sliders will also perform their sliding scare show three times a day in the Hall of Shadows. All of the mini-haunts go on halt during the performance, so grab a seat early for easy viewing access and to give your feet a recharge! If you’re like us, it’ll take hours just to get through all of the fantastic vendors and figure out what you want to buy. If you’re on budget, we suggest checking out ALL the vendors first, and holding out until Sunday to actually purchase what you want. We’re guilty of buying items only to find something that we want more an hour later, and not having the money for it. Unless it’s something you NEED or might sell out, holding off is the best way to not spend all of your money on all of the amazingly spooky items. Most importantly, have fun! Take photos with cosplayers, participate in as many experiences as you can, and post on socials so that all of your friends can be jealous that you’re getting some Halloween time in July. If you’re not ready for things to end at 7:00 pm, on Saturday night you can head to Midsummer Scream After Dark: the official Midsummer Scream afterparty which goes from 8:00 pm – Midnight. The party is 18+ and tickets are only $15!